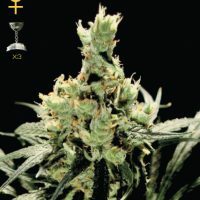 Paradise Seeds Sweet Purple female produce a cannabis plant with photoperiod genetics and a flowering time of 7-8 weeks. 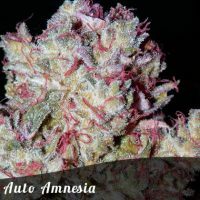 Sweet Purple has an effect described by the breeder as ‘Clear, physical, relaxing’ and a taste that is ‘Spicy, sweet’. 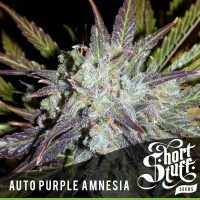 Buy Paradise Seeds Sweet Purple female at the lowest price online now! 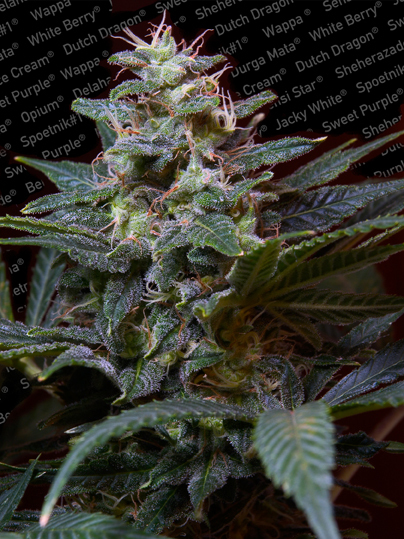 Northern Predator… A hardy beast, Sweet Purple is an indica variety that has been bred to prowl the northern hemisphere, thriving in gardens where the climate and temperature are unpredictable. We developed the strain as the solution to many of the problems that plague outdoor growers in latitudes above 50 where mold can be a particular problem towards harvest time. The Sweet Purple is the solution, surviving and thriving in a habitat where many plants struggle. This is an old school plant, both in looks and product. The heritage is Thai, a nod to the sought after strains that sent ‘Hippy Trail’ travellers deep into Thailand’s forests and mountains in search of the ultimate weed back in the 1970s. We crossed this Thai line with hardy Dutch genetics to produce a plant that is self sufficient, from the forests of Slovenia to gardens from Canada and England to Scandinavia. Of course it will grow in southern regions providing a decent harvest, but this plant is really a Paradise seeds gift to those who must endure farming their weather besieged gardens north of 50 n.L. In terms of yield, it may not be the biggest but there won’t be much wastage. This is as safe a bet as you can get in moderate countries. A modern miracle for colder climate growers, Sweet Purple will take the cold and the wet in its stride and still grow above 2 meters if you let it. The stems grow thick and the leaves bushy. The relatively short flowering time means you should be enjoying this smoke around harvest festival time. The effects of the Sweet Purple mirror its predator status. It blends into its environment, a pleasant high that seeps through the body, bringing a sense of controlled calm to its every movement, yet it also has a lucid side, focusing the mind for concentration. Sweet and minty, the herbal bouquet that gave this variety its name is a favourite with artists and writers seeking contemplative meditation. Yield: 400g per m² indoors. 600 g per plant outdoors.